Willowcare Trust, the subsidiary organisation of West of Scotland Housing Association, operates the Barrowfield Community Centre. The centre, based in the Camlachie area to the East of Glasgow, is a vital resource, used by the whole community but was in need of a refresh. 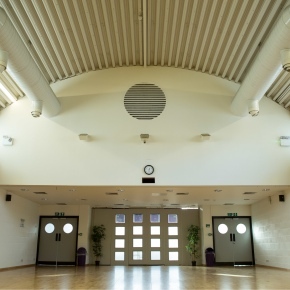 Novus Property Solutions is currently working with WSHA as part of a three year programme of works to upgrade its housing stock and was quick to offer its help to revitalise the Barrowfield Community Centre. The centre’s large function hall, office areas, cafe, computer room and training room were all refurbished to brighten up the whole centre. Novus’ Bathgate office worked on the project while Dulux provided the paint and materials required.